For a great cardio workout without the pressure or stress on joints caused by a treadmill, an elliptical machine offers great value for money, providing excellent benefits for multiple muscle groups. The market for this particular piece of home gym equipment has exploded in recent years, with options for all budgets. If you are ready to cancel your gym membership and start training at home, here are our top five best elliptical machines in 2017. 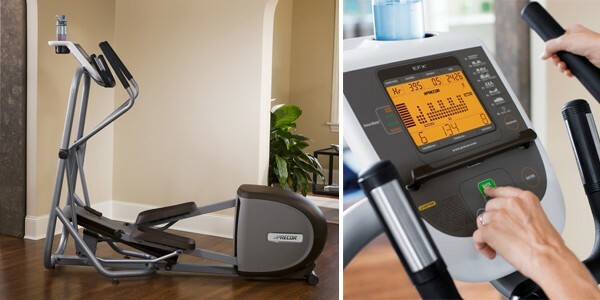 Sole Fitness has built a good reputation for providing solid fitness equipment at affordable prices, and the E98 offers a smooth ride with dependable performance. For your money, you get a sturdy frame, auto-adjust incline ramp, heavy 29 lb. flywheel and, probably best of all, a five-year parts and two-year labor warranty. Unfortunately, a chest-strap is needed to take advantage of some of the better features and this comes at an additional price. Frequent lubrication will also be required to ensure wheels turn smoothly. The Diamondback 1260Ef comes recommended by a “leading consumer magazine”. 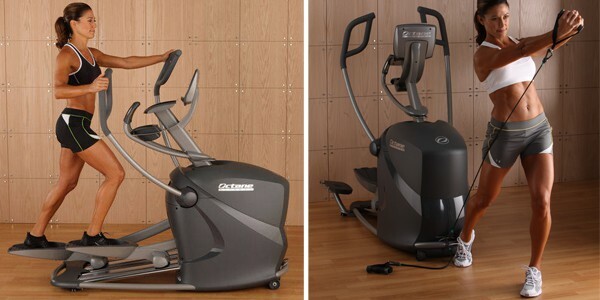 It is equipped with top-of-the-line features, including a 20-level electronically controlled magnetic brake and a brilliantly simple user interface that is crammed full of workout options. Sadly, while the 1260Ef is one of the best elliptical machines on the market, uncomfortable arm movement (especially for shorter people) lets it down. 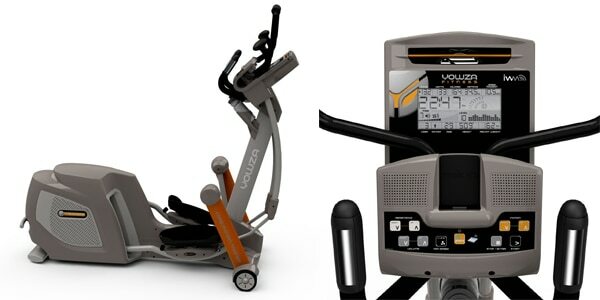 With its patented SuperCore motion handlebars, up to 60 percent adjustable incline and soft pivoting foot pedals, the Yowza is a real high-end piece of kit that is ideal for beginners and more serious trainers alike. Assembly can prove tricky, especially for one person, as the instructions and user manual are quite poor; however, when it is up and running, smooth performance and unique motions make it all worthwhile. The latest generation Precor EFX 5.23 is a fine piece of equipment and was very close to topping our list of elliptical machine reviews. 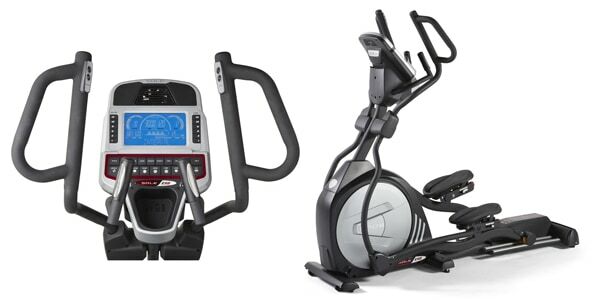 The build quality of the trainer is on par with machines three-times the price and it offers exceptional resistance range, with smooth motion as well. The standout feature of the 5.23 is the manual CrossRamp, which can be adjusted to target specific muscle groups and, if it were not for the fact that the computer does not store historical data, this could well be the best product on the market. The slight chink in the armor of the Precor means that the Octane Fitness Q35 takes the spot as our best elliptical machine in 2017. 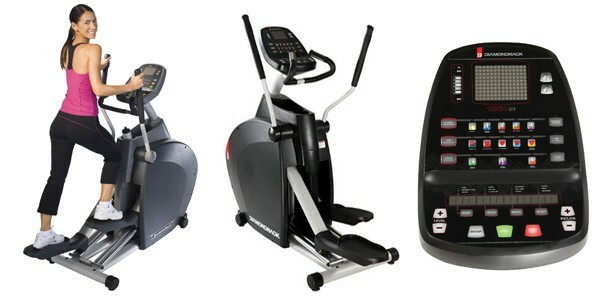 The top rated trainer by Consumer Reports is compact, reliable, and super-smooth to use. It is also packed with innovative features, such as specific muscle-targeting cross-training programs, independent resistance settings for the moving handlebars, and optional stationary platforms. The Octane is also outstanding from a safety perspective, with a special MOM mode preventing kids from hurting themselves or the machine.